All the apples are growing reasonably well. When they first leafed up they were being nibbled by something, but that seems to have stopped now. Time to read up on what if any pruning I need to do in this first summer. 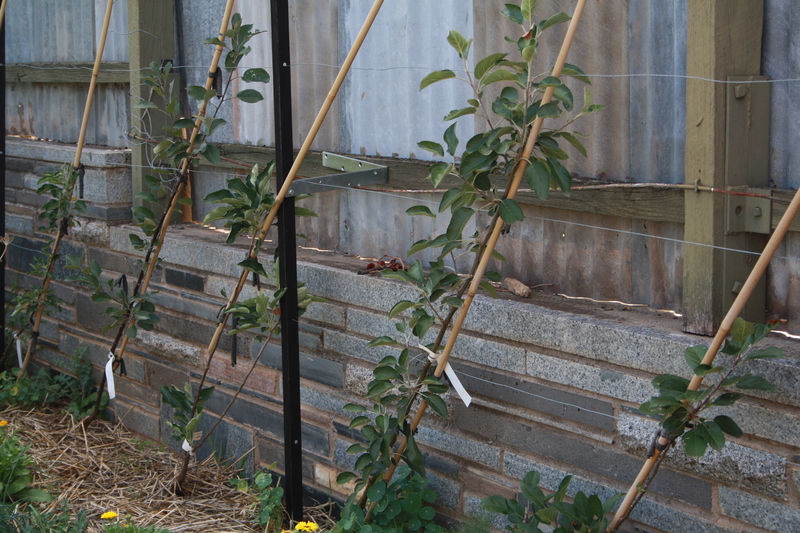 A couple of plants I am growing in fan and horizontal T form, so I need to get some more canes to attach the limbs to. Potted fruit triumph! My Meyer lemon has fruited for the first time. It still looks a little yellow but has over ten fruit on it. I fed and fed and fed, with pelletised organic all purpose fertiliser, top-dressed with compost, and foliage-sprayed with a mixture of Seasol and Charlie Carp. 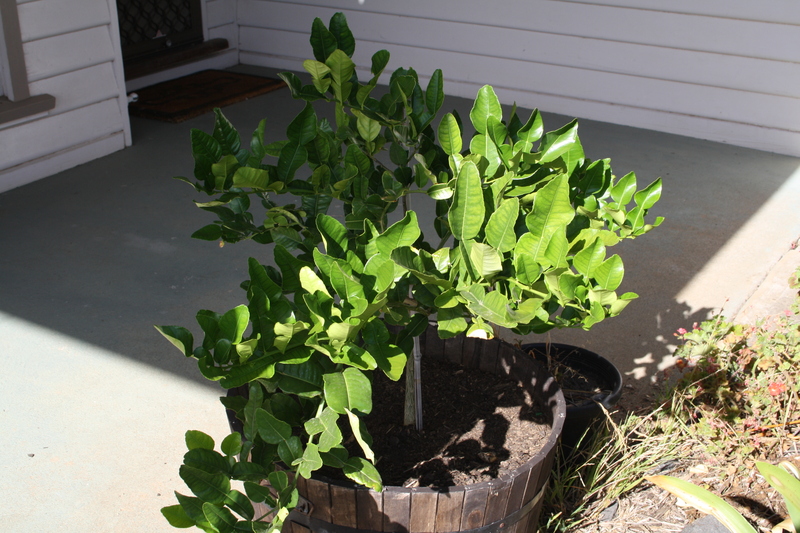 Potted kaffir lime was given the same treatment as the Meyer lemon, and has put on a lot of fresh growth since spring. It’s a wonderful thing to grow if you love making Thai curries. 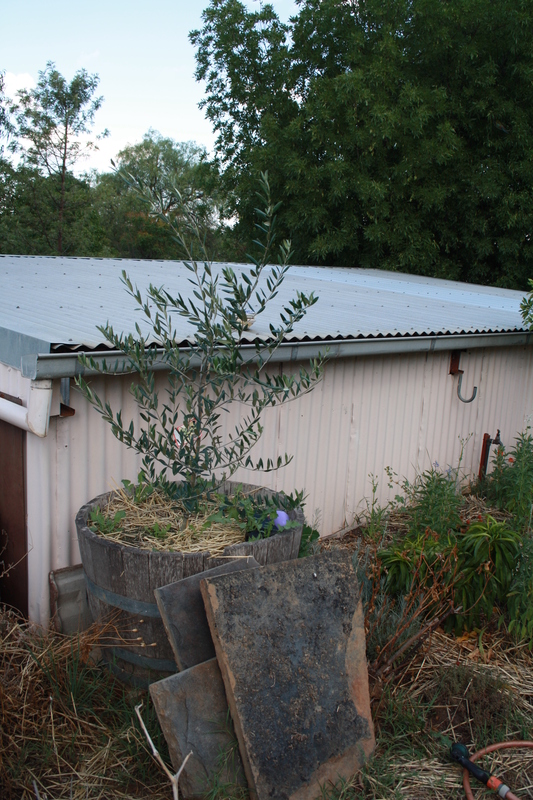 More potted fruit tree success: of the three olives I planted, this one in a half-wine barrel is thriving the most. It’s a Manzanillo. 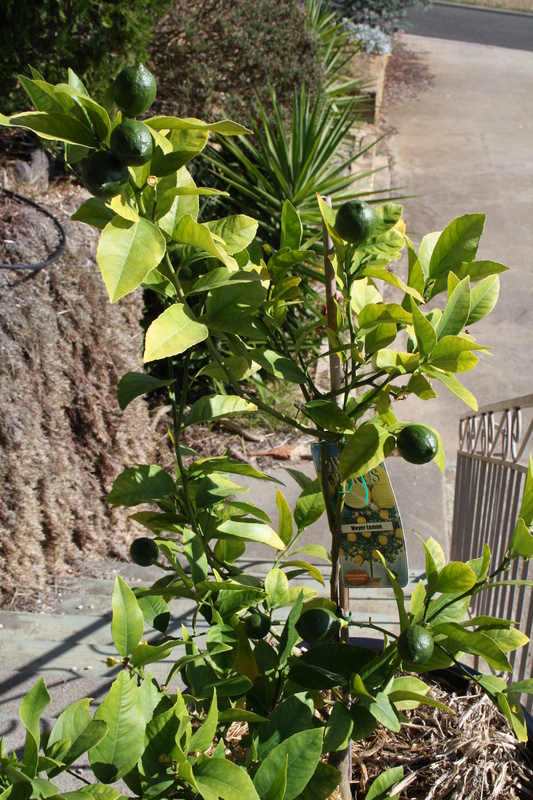 My thornless Lisbon lemon is doing really well out the front and has good colour and new growth. And one precious lemon growing – you can just make it out half-way up the right-hand side. 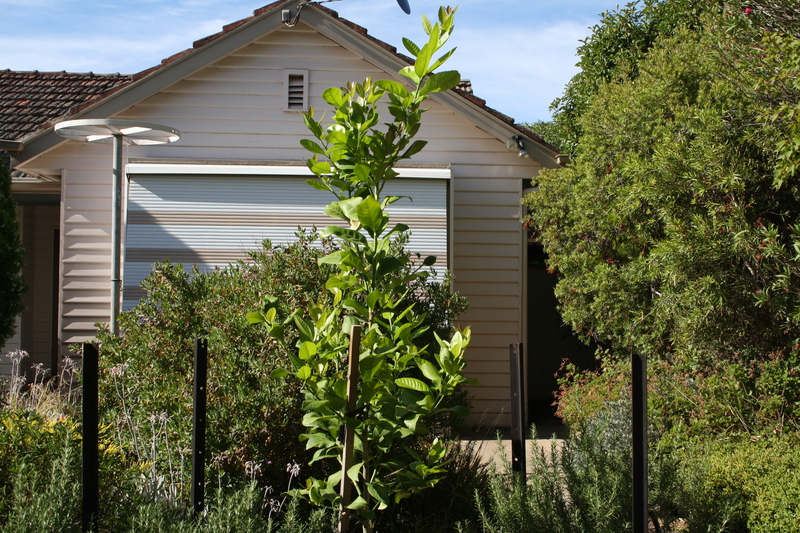 Also out the front of our house, growing in full sun (apologies for poor quality pic), a White Genoa fig planted in spring. 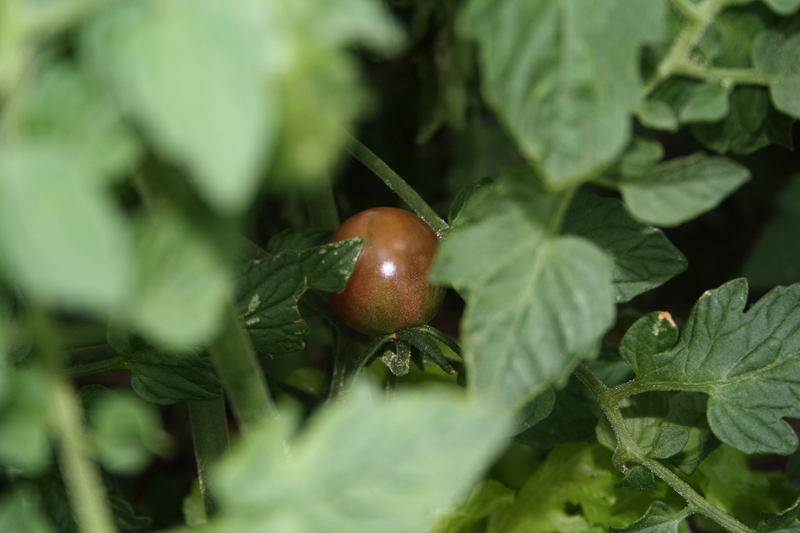 To my surprise it’s grown one solitary fruit already. It looks like some bug has mined it, but I’ll net it nonetheless and hope to eat. Look, the less said about my strawberry patch, the better. 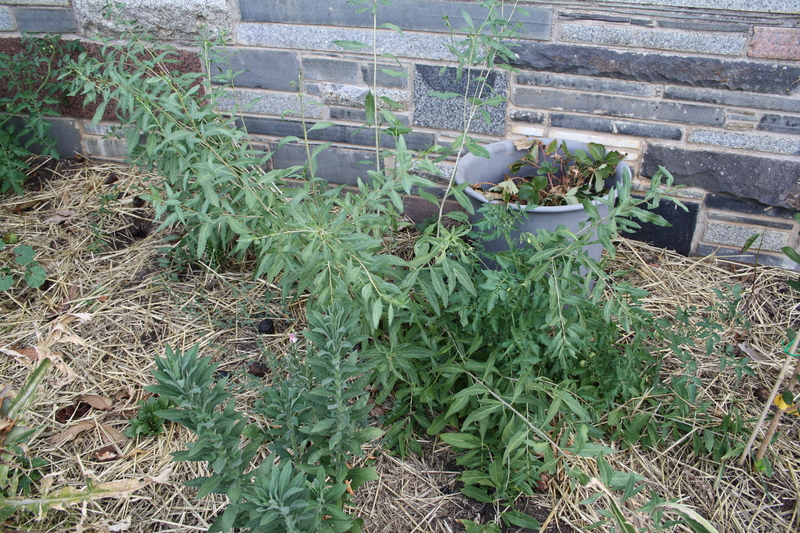 But check out this goji berry I planted in winter. They look weedy and flop all over the place but the hot weather has not bothered them and they seem to like this position. I don’t expect them to fruit for a few more years. 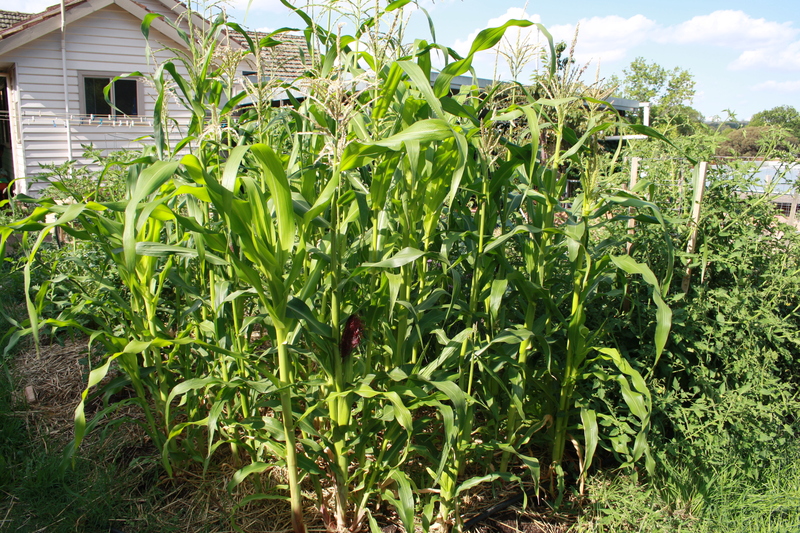 I’m growing corn: Golden Bantam. It’s supposed to be the corn-iest tasting of corn. This is the first time I’ve tried growing corn and I don’t know anything about it! When do I harvest it? I was supposed to thin out the crop but didn’t. I just thought I’d see what would happen. 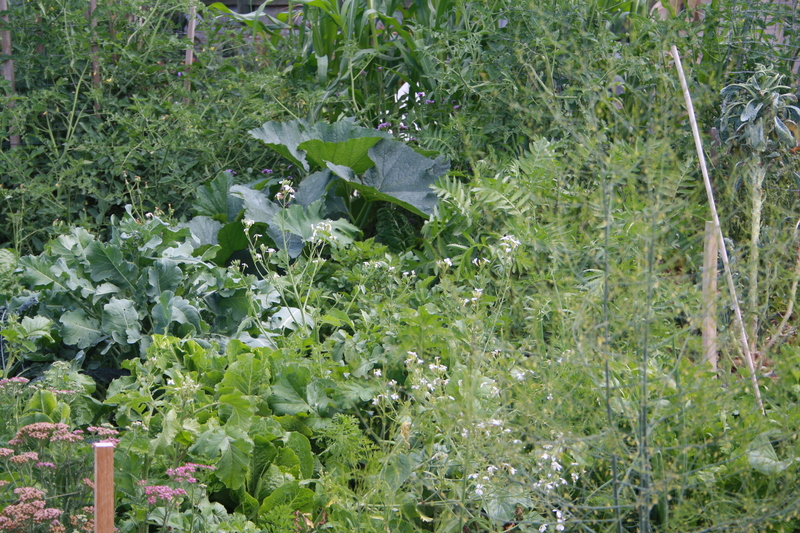 The plants are all growing well but I’ve read too closely placed plants might not get pollinated. Conclusion on that to come. 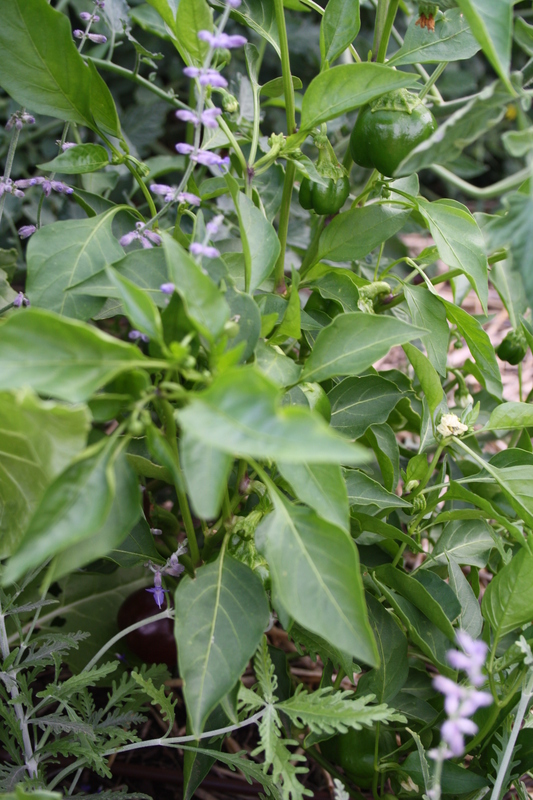 A mini black capsicum being overwhelmed by all its neighbours. 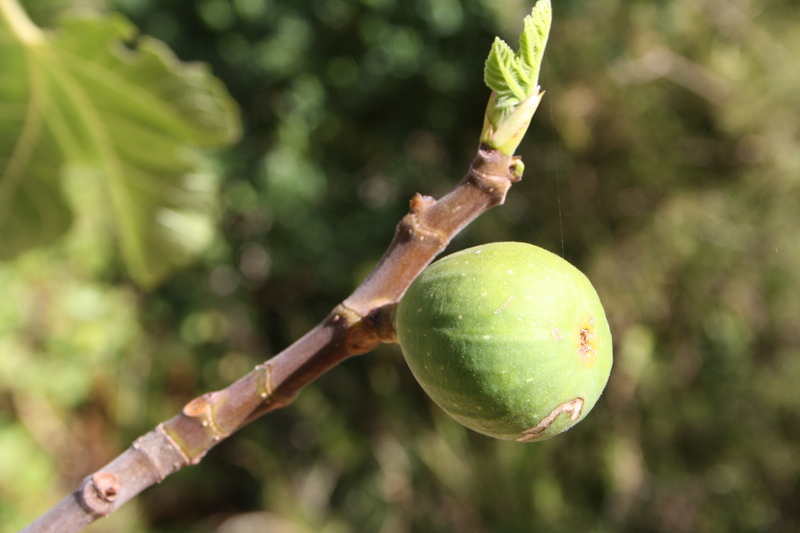 But you can see a ripe one down the bottom. Tuscan kale planted in autumn 2015 still going strong. I heart tuscan kale. Potatoes in front. Time to get out my favourite zucchini glut recipes. And this year I must do stuffed flowers. I say it every year and I still haven’t done it. 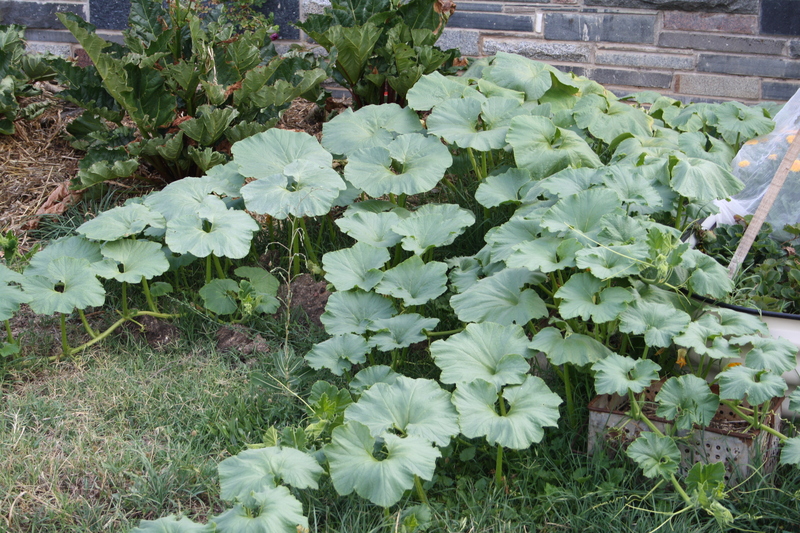 My other zucchini plant died – sadly. Although it takes the pressure off on cooking them all up. Two plants was more than I could cope with last year. 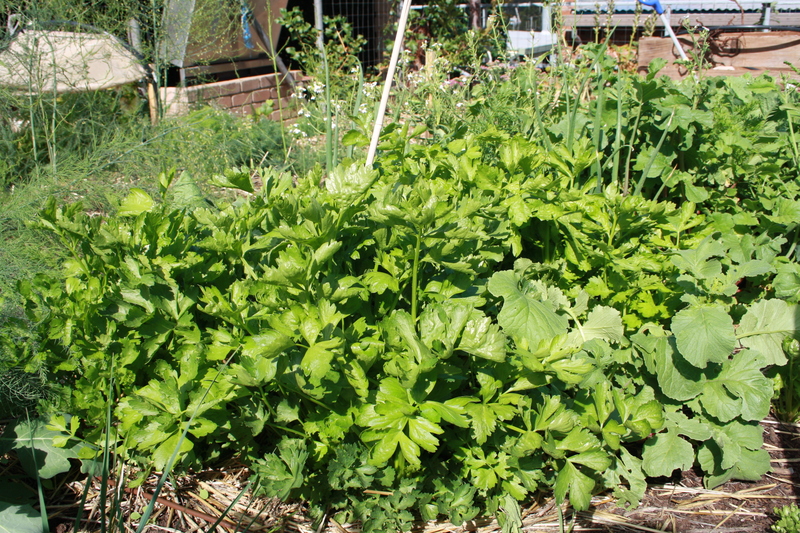 Below is my garden miracle: celery grown from seed. I managed to get it to germinate even in hot weather, by covering the patch with shade cloth and watering obsessively until germination. Then it really did nothing for months. Very slow growth. Who knows, maybe that’s what celery does? Also I’m thinking our cooler overnight temperatures perhaps slow down growth in spring. Anyway, we went away for almost two weeks over Christmas. Came back, and found these babies! I hadn’t bothered to thin them out not being that optimistic about them. Now ‘ll have to have a closer look and figure out whether to thin (by chopping at soil level so as not to disturb the roots of neighbouring plants) or to just pick small? What do you think? 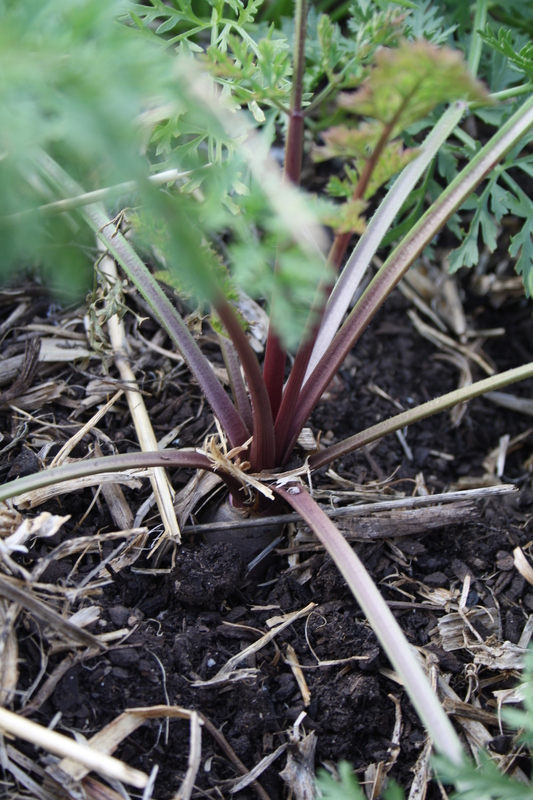 Here is a Purple Dragon carrot growing. My luck with carrots has been mixed. I have no problem getting them to germinate but struggled to keep the baby seedlings alive in the hot weather. 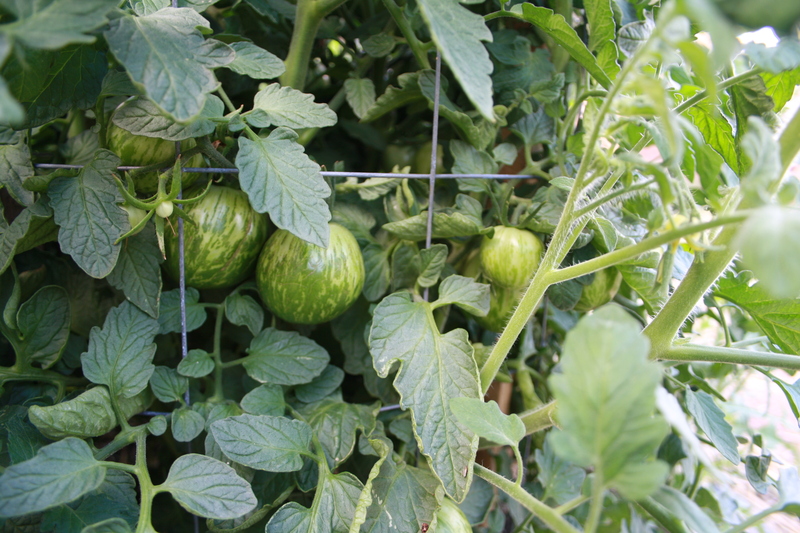 Green Zebra tomatoes. I haven’t tasted or grown these before and have high hopes. They are very beautiful to look at. 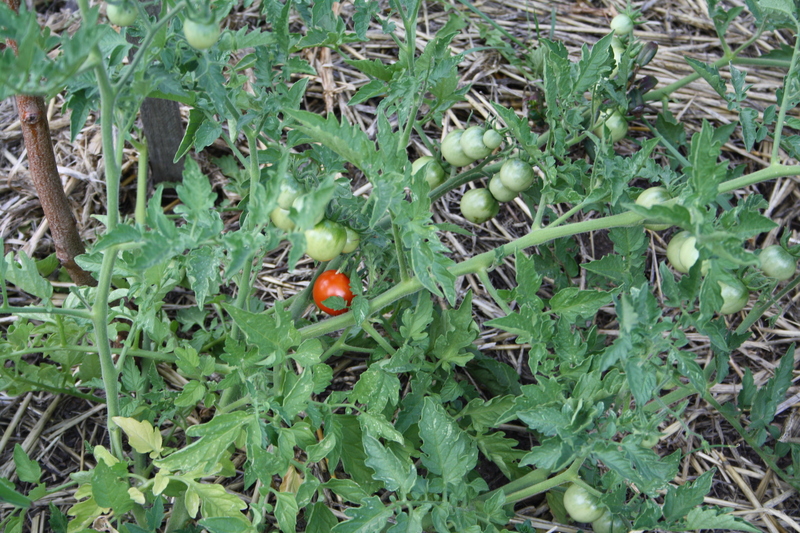 More tomatoes: black cherries. I have very high hopes for these. They are absolutely delicious when ripe. 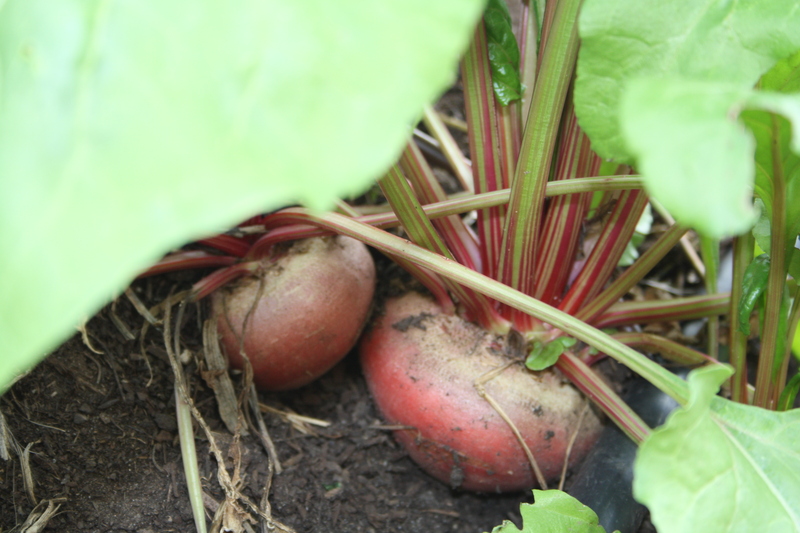 Beets or radishes – what do you think? I think beets. 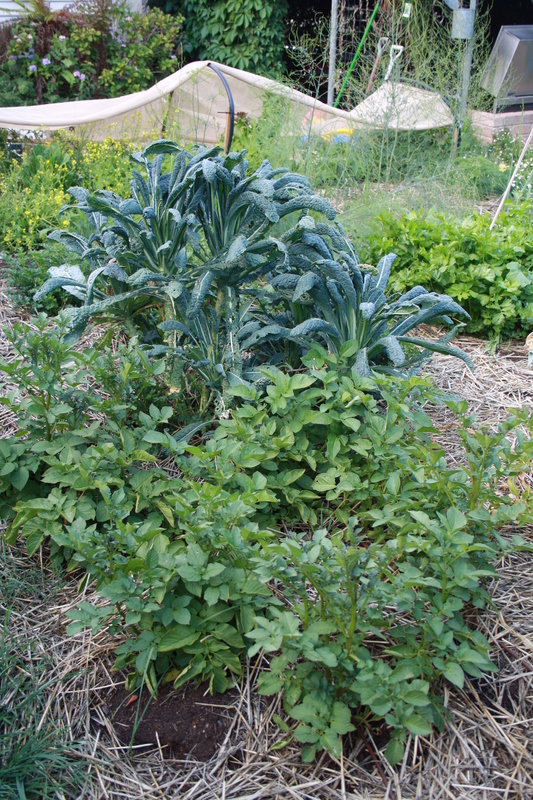 These are growing under shade cloth with mixed seeds – mostly greens – that I just scattered around. We had so much hot weather in spring I didn’t think the greens would cope being in full sun all day. It doesn’t seem to have bothered the beets. 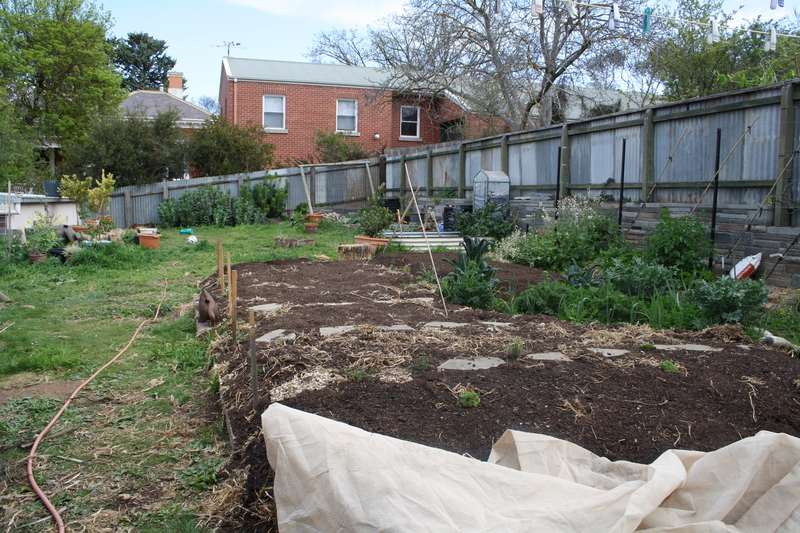 Time to get some outstanding tasks done, sow more seed along the drip lines, and most importantly harvest some food and start cooking. Your gardens look lovely. I’m most envious of your pumpkins. Mine fought the slugs and the slugs won. 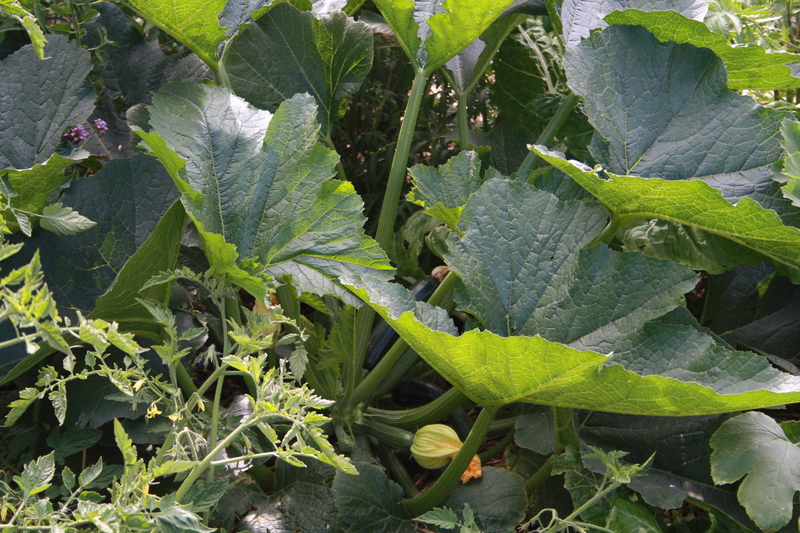 Drip irrigation is a saver of sanity, hey. I’ve got mine in and although it’s not perfect, it’s saving my sanity. Well don’t be too jealous because I’m not sure there are any fruit growing. I should investigate more closely but I suspect not! 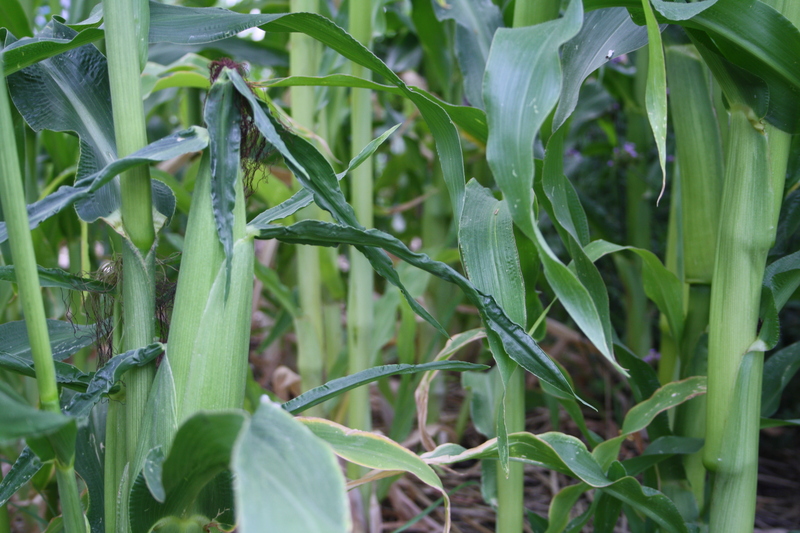 Corn is wind pollinated so the closer the plants, the better (although not so that they have to compete too much for food and water). Pollen falls from the tassels at the top of the plant onto the fine hairs that poke out of the female flower buds which will become the cobs. When checking for harvest open up a few leaves on the cob so you can see the kernels. They should be bright yellow and swollen. Poke a fingernail into a few kernels. If the juice comes out clear it’s not ready. When it comes out milky it’s ready. The silky hairs at the top of the cob should be dry and brown, too. Green Zebras are indeed lovely to eat. 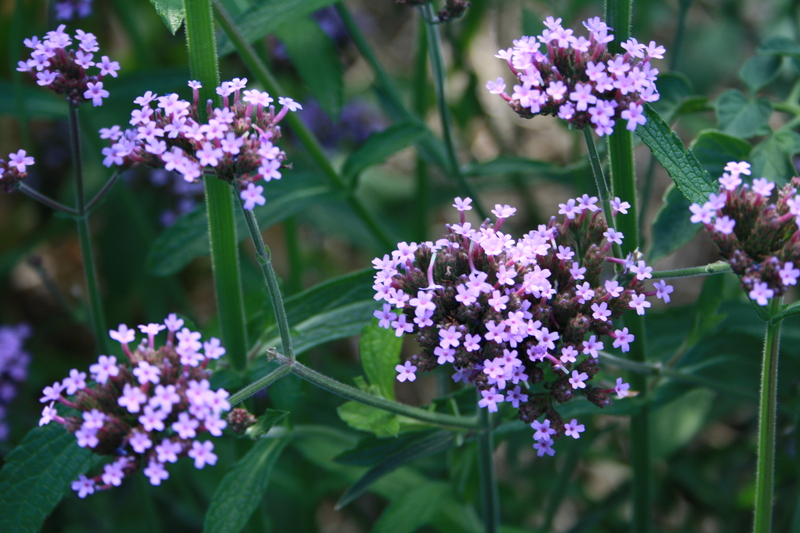 Be sure to collect seed so you can grow them for ever. Thank you foodnstuff. So, if the hairs go brown I take it that in itself is not indication alone of ripeness? Only because I pulled one this morning with brown hairs, but the cob was very tightly wound and the kernels were definitely not ready yet. Quite pale and not all fully formed. I’m really excited to try my first ripe one. The chooks got this morning’s.